"As we focus on climate change, we must also act decisively to protect the living world while we still have time. It would be humanity’s ultimate achievement." - E.O. Wilson Nevada is poised to vote on whether to increase its renewable portfolio standard (RPS) - the share of electricity required to come from renewable sources - to 50% by the year 2030, without any plan for protecting Nevada's increasingly vulnerable wildlands. An increased RPS without corresponding plans to protect wildlands is sure to spur a second rush of solar and wind projects, but continuing to burn fossil fuels will compound the ongoing harmful effects of climate change on that same landscape. A more sensible path - providing stronger incentives for solar on rooftops and over parking lots and diverting larger projects to already-disturbed lands - has eluded the state's policymakers and environmental groups. 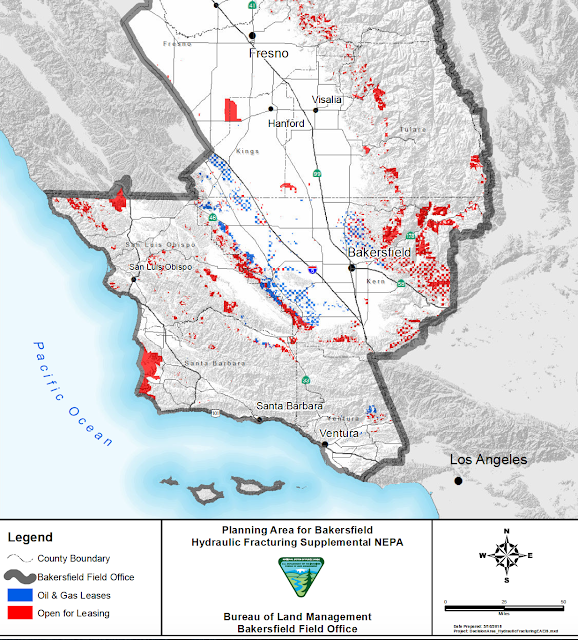 The Trump administration is proposing to open up hundreds of square miles of western Mojave slopes and central California grasslands to hydraulic fracturing (also known as fracking). Oil and gas companies' fracking technique involves injecting thousands of gallons of toxic fluids into the ground to break open pockets of fossil fuels. Not only do these fluids contaminate groundwater supplies, allowing fracking will also make it more profitable for oil and gas companies to industrialize vast swaths of grassland, Joshua tree woodland, and oak woodland to energy exploration. Oil and gas fracking in this area would bring miles of access roads, well pads, and evaporation ponds containing toxic chemicals harmful to wildlife. Not to mention the additional greenhouse gas emissions that such drilling would enable, worsening the ongoing impacts of climate change on wildlife and humans alike. 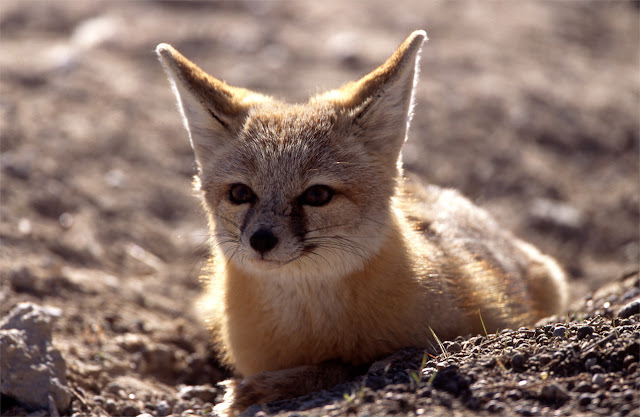 The Gemini Solar project proposed for desert wildlands next to the Valley of Fire State Park could displace or kill over 260 desert tortoises and dozens of kit foxes, American badgers and western burrowing owls, according to recently released wildlife surveys (1, 2). Climate change poses an urgent threat to these same wildlife, but it is inexcusable to bulldoze wildlands to install the same solar panels that can just as easily be installed on rooftops or already-disturbed lands. If we are destroying wildlands to reduce greenhouse gas emissions, then we are perpetuating the stunningly short-sighted sacrifice of nature to continue feeding otherwise unsustainable consumption, despite readily available options that have much lower impact on wildlife. 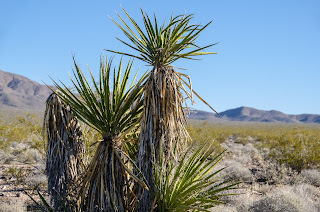 A preliminary study released by the Bureau of Land Management (BLM) further underscores that the proposed Crescent Peak Wind project will spoil an outdoor gem in southern Nevada, threatening a golden eagle hot spot and impeding mule deer and bighorn sheep habitat. The Sweden-based wind company hopes to begin construction of this project on public lands by next year if it can secure BLM's approval. 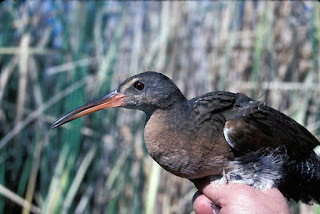 The Department of Interior abruptly changed its assessment regarding the threat posed to the endangered Yuma Ridgway's rail (also called the Yuma Clapper rail) by industrial-scale solar projects, clearing the way for First Solar to build the Sunshine Valley Solar project next to one of the bird's few remaining strongholds. In 2014, Interior initially described the potential for the endangered birds to die at the Sunshine Valley Solar project as "likely." The more recent Interior memo, obtained by Basin & Range Watch, now describes the threat as "unquantifiably low." Interior's recent memo does not explain why it downgraded the threat even after two of the endangered birds were found dead at large-scale solar projects in the desert southwest in recent years. 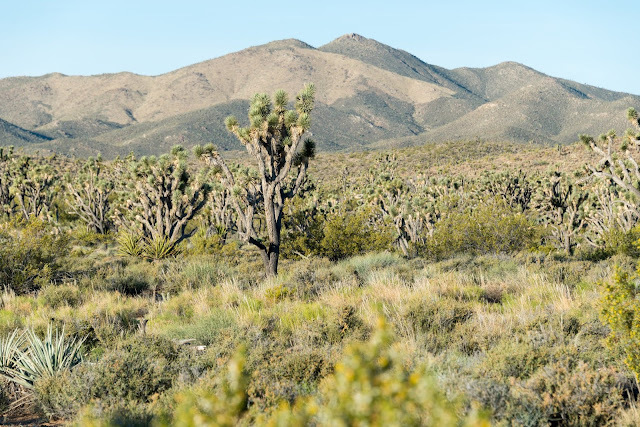 The Bureau of Land Management is seeking public input on a Sweden-based company's plans to replace several thousand acres of public lands in southern Nevada with towering wind turbines and dozens of miles of wide access roads. The Crescent Peak Wind project would involve as many as 220 wind turbines each standing 410 feet tall. 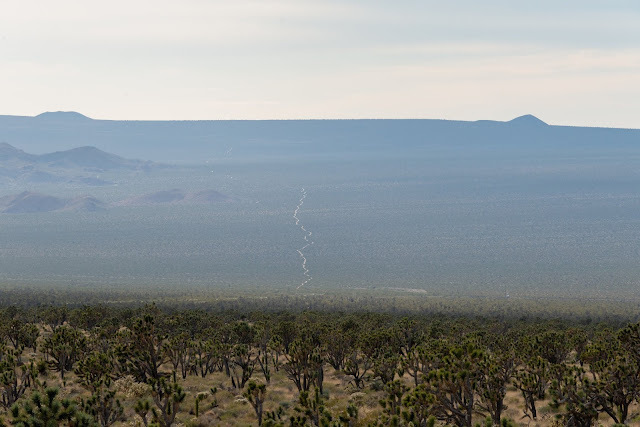 Public comments can be e-mailed to blm_nv_sndo_crescentpeak@blm.gov by June 13. I have hiked and camped on the wildlands that would be industrialized by this project. 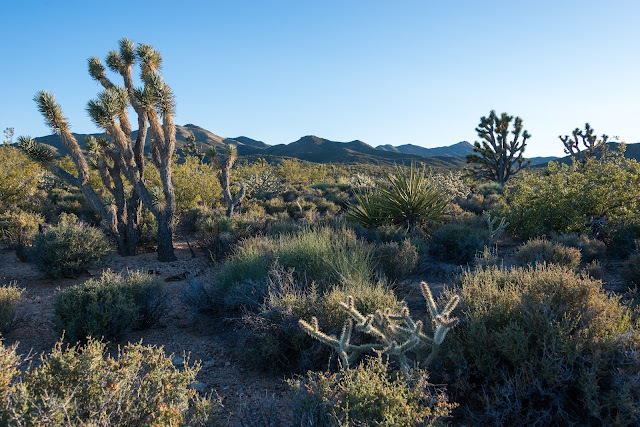 The area hosts a beautiful Joshua tree woodland that is rich with wildlife. 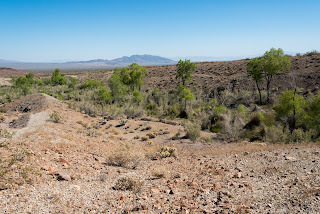 The photos below were all taken within the proposed footprint of the Crescent Peak Wind project. 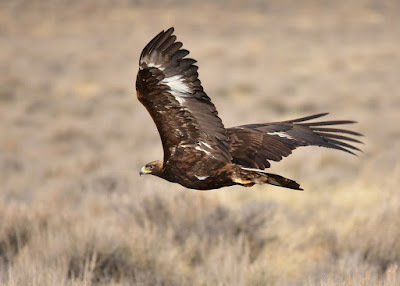 The BLM should deny the permit for this wind project, and instead protect this area for its amazing biodiversity and opportunities for primitive recreation. Local officials in Las Vegas have are looking to expand the metropolitan area's urban sprawl much deeper into desert wildlands, encroaching on two National Conservation Areas and bolstering plans for an ill-conceived major airport south of the city that would send air traffic over the Mojave National Preserve. 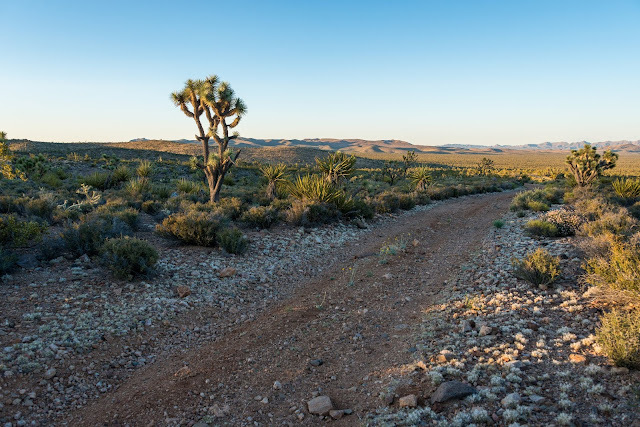 The Trump Administration is expected to initiate an administrative process this week likely intended to undo protections for public lands in the California desert and allow more large-scale renewable energy projects and mining. 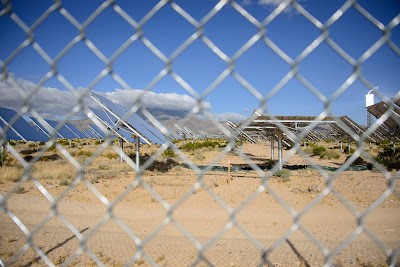 A notice of intent filed by the Department of Interior indicates that its plans to weaken the Desert Renewable Energy Conservation Plan (DRECP) are driven by unspecified "public concerns," but particularly states that Interior wants to review limitations that the DRECP places on large-scale renewable energy projects, including wind, solar and geothermal. The DRECP was finalized in 2016 after a lengthy public comment and review process that involved extensive consultation between the Department of Interior and State of California.